Proof that I was in Cuba in 1977. 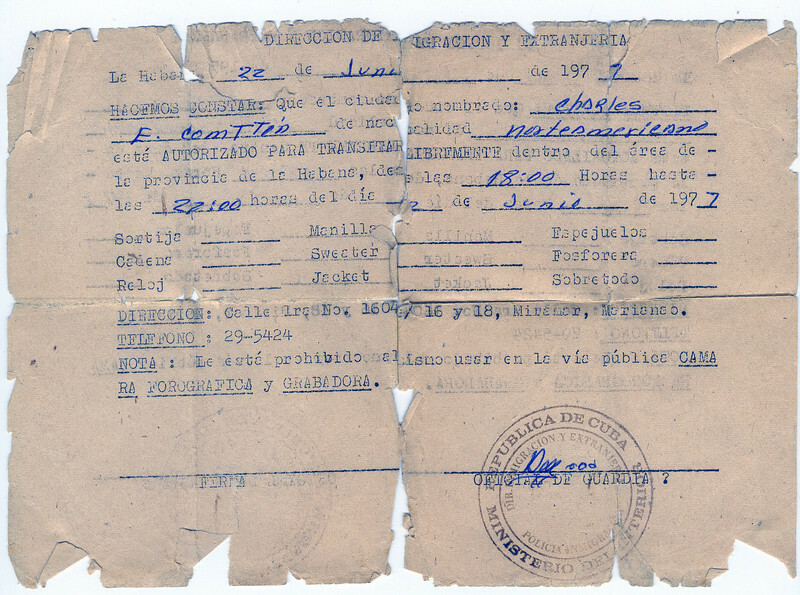 Proof of my being in Cuba in 1977 when we weren't suppose to be. Only known document to exist.